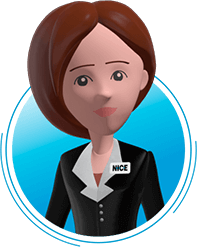 The NICE Virtual workforce comprises software robots that are installed on back-end servers, with the capabilities to take over all the repetitive, admin driven processes facing the human workforce everyday. A variety of tasks can be executed independently without human intervention, freeing up employees to focus their attention on more valuable business priorities. 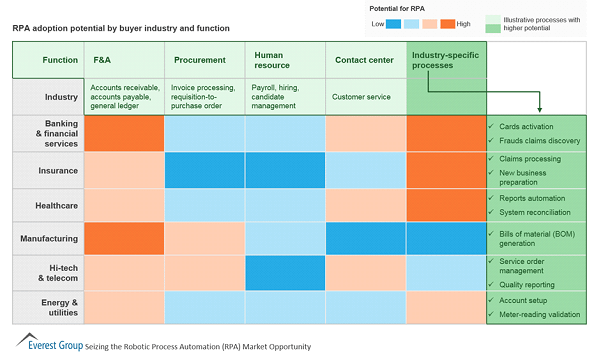 RPA is fast becoming the technology of choice across for a wide variety of organizations spanning any vertical market. Enterprises who embrace RPA, across the front office, back office and shared services divisions, are experiencing dramatic increases in business performance and ROI. - The combination of both attended and unattended automations can enable greater process efficiencies. For example, there is no need for attended bots process automation to stop when incountering an exception, instead, can step in and seamlessly alert a human to intervene and resolve a process error or complication, in real-time. The automated flow can then resume without any down time. The NICE unique Automation Finder innovation leverages Desktop Analytics and machine learning to accurately pinpoint the most optimal business processes to automate. 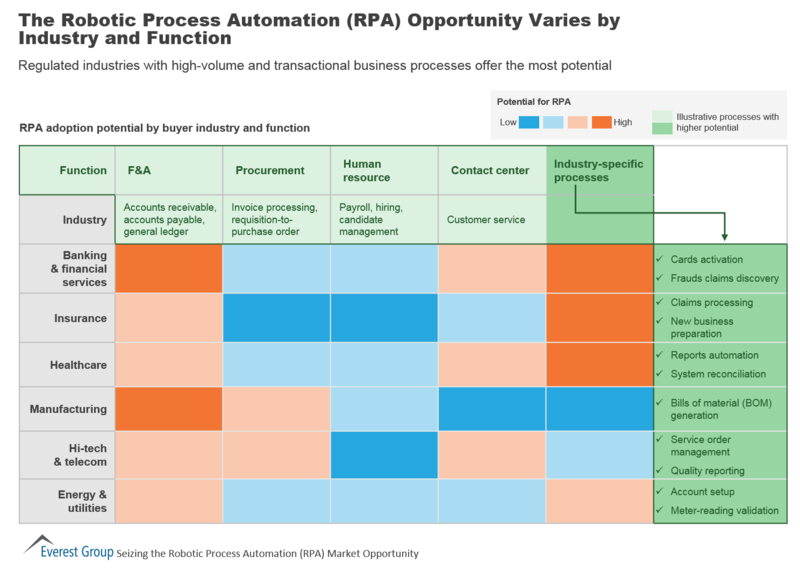 Fast and accurate identification of the right processes to automate is a key element to ensure successful RPA deployments. RPA as a standalone solution supports automation based on structured data. As organizations wish to increase the variety of processes they automate, they are looking to include data from unstructured sources (like scanned documents, emails and letters). That's where the more advanced cognitive solutions come into play. NICE Robotic Automation’s open platform is designed to integrate with many leading AI technologies, such as Optical Character Recognition (OCR), chatbots and machine learning technologies, to support the automation of more complex business processes. Take a look at how cognitive tools work together with RPA in this self-service banking video example. Learn more about our comprehensive and robust automation platform and solutions. Discover how organizations world-wide are leveraging RPA across a myriad of different industries. Delve into some practical insights of how OCR enhances and expands business process automations.